DISCOVER THE PERFECT BALANCE FOR COFFEEKIND. WE ARE LOOKING TO THE FUTURE. UNCOVERING FLAVOUR TERRAINS, FILLED WITH WONDER. TOGETHER WE JOURNEY TO NEW FLAVOUR DESTINATIONS. WITH A BALANCE OF EXPERIENCE AND EXPLORATION, WE UNEARTH THE DIVERSITY OF COFFEE; ENTICING THE COFFEE DRINKER TO DISCOVER THE FLAVOURS THAT MAKE UP THEIR DAILY DOSE. Zest Specialty Coffee Roasters ARE a progressive, creative and eclectic team of coffee professionals who strive to deliver the best of specialty coffee to all Coffeekind. Zest is a humble balance of values ––flavour/taste, quality/value, people/culture and much, much more. Our balance in these areas showcases Zest as both the leader and innovator in the coffee market; recalling past experiences and unafraid to explore the future. We put all our efforts into building a consistent, reliable supply of great tasting coffee beans accredited by the best judges in the country. We have been repeatedly awarded for flavour, including the gold medal for filter in 2017 at the Golden Bean. Our tasting and profiling are passionately fastidious and we pride ourselves in the processes we have developed among the team to honour each step of the quest for consistency. But it’s not just the coffee that is in good taste. It’s the people, the community, the relationships, the brand. From Zest Specialty Coffee Roasters and its people, you will never see anything in bad taste. Always specialty coffee. Always post blending. No short cuts on the road to optimal flavour. Our roasters focus greatly on micro-lots, small batch roasting, using an artisan approach. We create specialty blends, with flavour at the forefront. We are intent on always pursuing perfection. We shine on every bean. 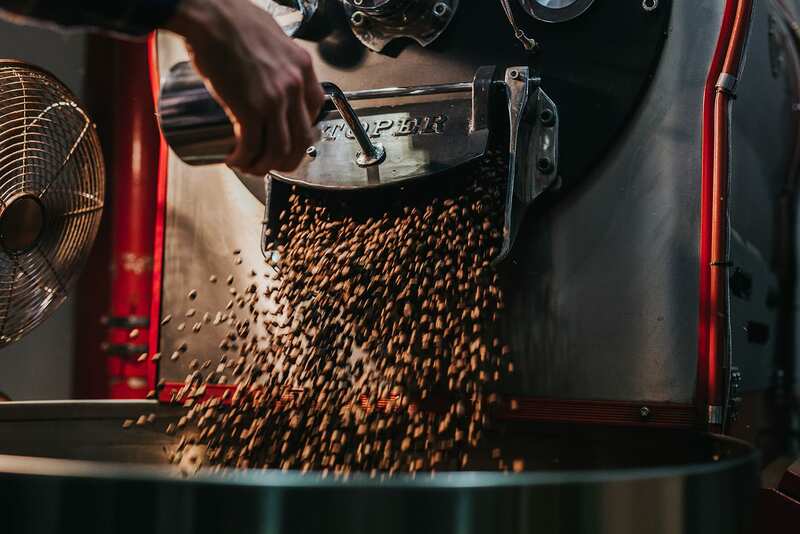 Our artisan roasting process is designed to articulate and enhance the aroma and flavour and unique personality of a toiled harvest. It’s because we understand the seasonality and complexities of specialty coffee that consistency remains a focus. We know there’s no shortcut to optimal flavour. And we know there’s no purpose without it. Zest are innovators, educators and explorers, but fore mostly we are a family, and we treat each of our customers –– from new café owner, corporate partner, meticulous brewer, intuitive home barista –– as we treat our own; friendly, approachable, reliable, informed. Relationships are important to Zest; connections built with coffee farmers and coffee lovers are valued equally. The coffee landscape is vast and diverse; a collection of different flavours, origins, stories and people. Zest brings all these landscapes together, forging a colourful terrain filled with a sundry of personalities and flavours. Passionately sharing their love of flavour; inviting all coffee lovers to explore and discover. The unique “Flavour terrains” in our branding components highlight these important elements that support Coffeekind. Zest is invested in helping café partners grow their coffee businesses. We have built a team of skilled, creative and experienced coffee professionals – enthusiastic about your success. Our mission is to build patronage for your café through providing your clients with wonderful flavour experiences, education, efficiency, training, knowledge sharing, developing coffee appreciation through our passion for flavour discovery.